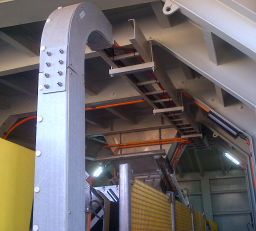 The FRP cable ladder systems offered by Treadwell are equipped with the necessary fittings such as horizontal bends, cross and tee sections, rising internal and external bends of diverse degrees (45 and 90), reducers, couplers, and support and anchoring systems. 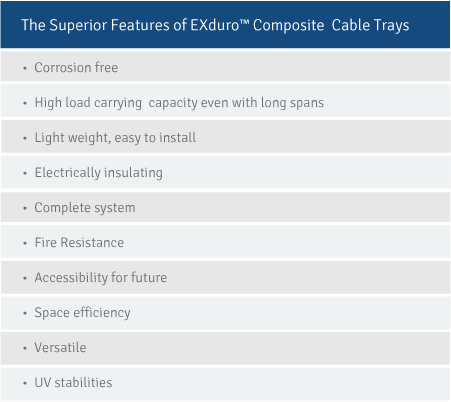 Benefits of utilizing EXduro™ cable ladder and tray systems include strong corrosion resistance, UV and chemical protection, light weight in nature, fire resistant and durable to enjoy a long design life. 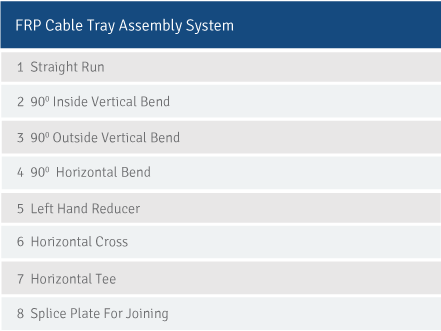 Treadwell’s fibreglass cable tray and instrumentation trays are designed such a way that they can withstand the light loads of single wiring and pneumatic tubing systems. 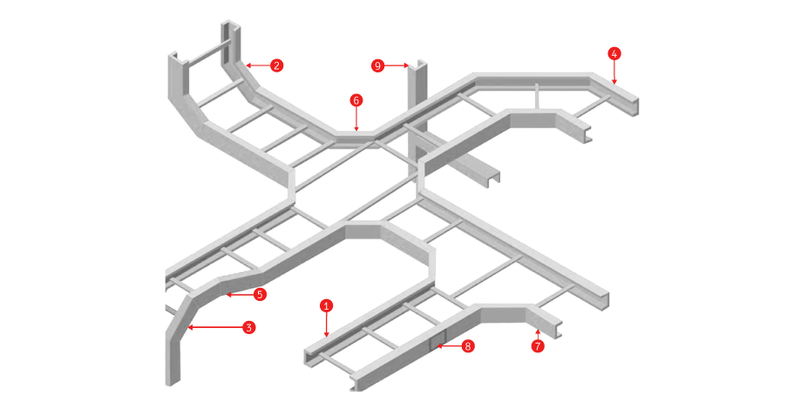 Both the solid and ventilated trays are manufactured and supplied with the pre-fabricated fittings as well as the straight sections pre-drilled. Essentially, there is no need of halting business projects for executing the installation process. EXduro™ FRP covers are manufactured from premium quality FRP composites, they feature a design of up to more than 50 years. Typically, these FRP covers can endure about 2 million fatigue attacks. 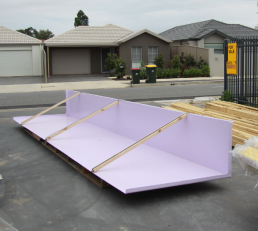 The covers that we offer are the flat cover, clamp-less flat cover and peaked cover. 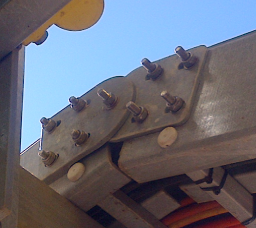 The splice plates that Treadwell offers can be available in horizontal as well as vertical degree sections along with the accessories sold separately. We also produce flat and peaked covers. The plates are non-conductive in nature and do not react to magnetic and electric fields.